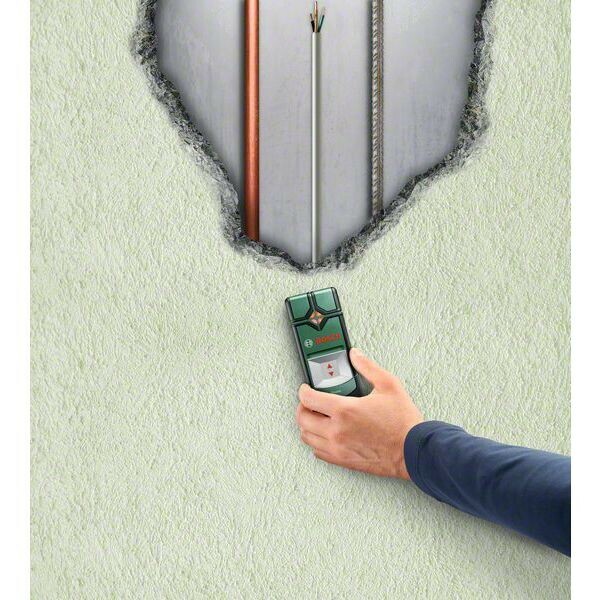 Holes should only be drilled at suitable locations, but how can DIY enthusiasts be certain where supporting elements, pipes or electric cables are routed? 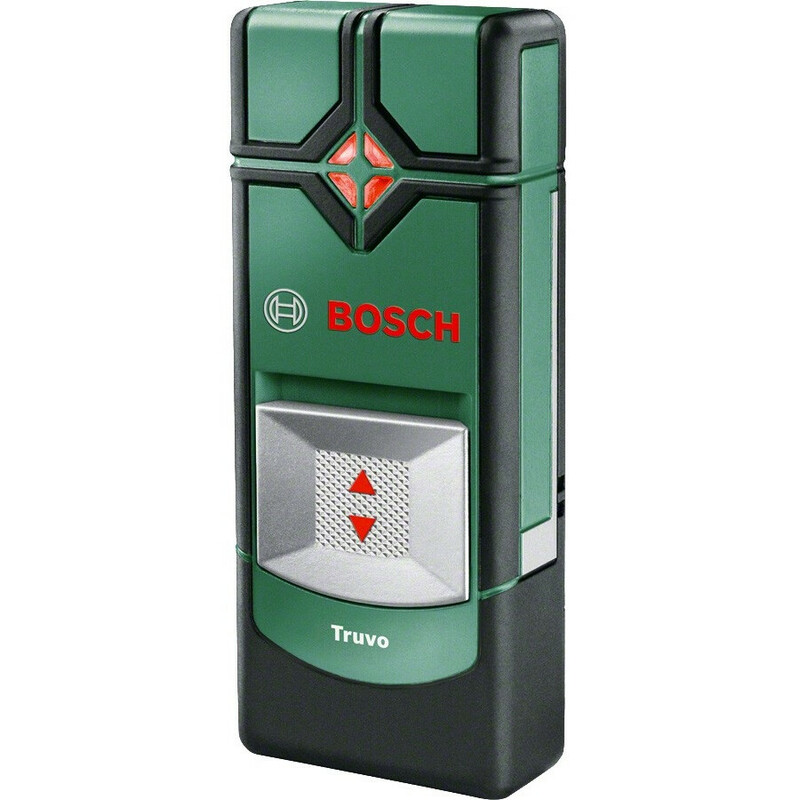 The Truvo detector from Bosch detects ferrous and non-ferrous metals and electrical cables, preventing unpleasant surprises when drilling. Its straightforward traffic light system and associated warning sounds clearly indicate where it is safe to drill and where it is best to avoid. What's more, thanks to its ease of use, the Truvo is also suitable for novices. Switch it on, detect, drill! LED with “traffic light” system indicates where drilling is possible. Intuitive handling thanks to easy one-button operation.